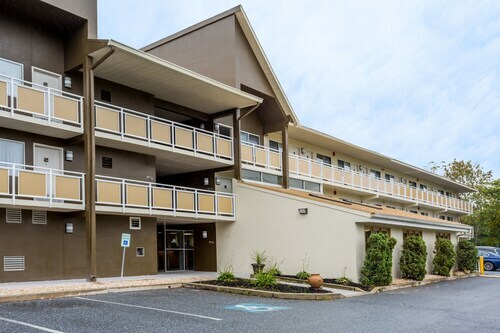 Situated in the business district, this aparthotel is 2.2 mi (3.6 km) from Spring Gate Vineyard and within 6 mi (10 km) of Shoppes at Susquehanna Marketplace and Deer Valley Golf Course. Pennsylvania Farm Show Complex and Hersheypark are also within 9 mi (15 km). 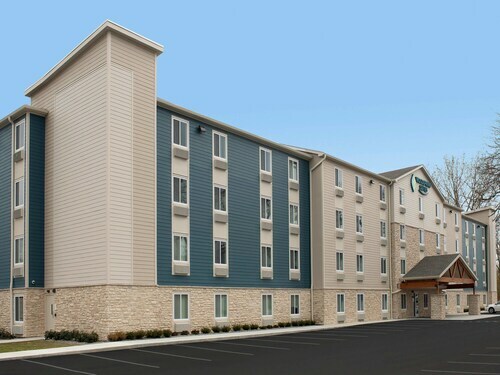 Situated in Harrisburg, this hotel is within 6 mi (10 km) of Antique Automobile Club of America Museum, Hollywood Casino, and Deer Valley Golf Course. Penn National Race Course and Spring Gate Vineyard are also within 6 mi (10 km). 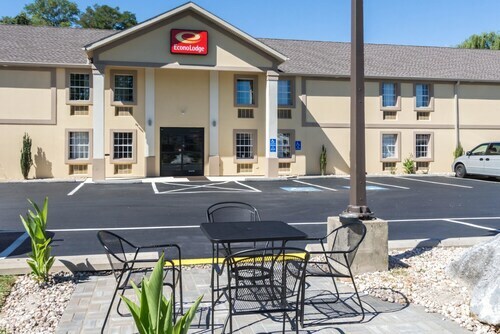 Situated near the airport, this hotel is within 3 mi (5 km) of Kohl Memorial Park, National Civil War Museum, and Shoppes at Susquehanna Marketplace. Pennsylvania Farm Show Complex and Appalachian Brewing Company are also within 6 mi (10 km). 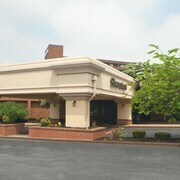 Situated in Harrisburg, this hotel is 0.7 mi (1.1 km) from Shoppes at Susquehanna Marketplace and 2.9 mi (4.7 km) from Pennsylvania Farm Show Complex. Wildwood Park is 3 mi (4.9 km) away. Situated in Harrisburg, this motel is within 6 mi (10 km) of Kohl Memorial Park, National Civil War Museum, and John Harris-Simon Cameron Mansion. Whitaker Center for Science and the Arts and State Library of Pennsylvania are also within 6 mi (10 km). Situated in Harrisburg, this hotel is within 6 mi (10 km) of Kohl Memorial Park, National Civil War Museum, and John Harris-Simon Cameron Mansion. Whitaker Center for Science and the Arts and State Library of Pennsylvania are also within 6 mi (10 km). 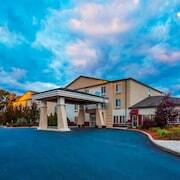 Located near the airport, this family-friendly hotel is within 6 mi (10 km) of Kohl Memorial Park, Middletown & Hummelstown Railroad, and Strawberry Square. Broad Street Market and Riverfront Park are also within 6 mi (10 km). Situated near the airport, this hotel is within 6 mi (10 km) of Kohl Memorial Park, National Civil War Museum, and John Harris-Simon Cameron Mansion. Whitaker Center for Science and the Arts and State Library of Pennsylvania are also within 6 mi (10 km). 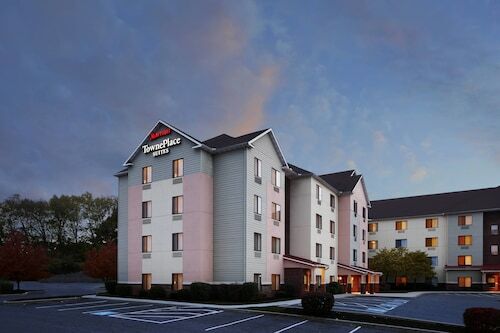 How Much is a Hotel Room in Harrisburg? 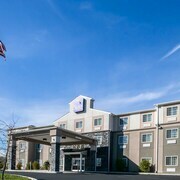 Hotels in Harrisburg start at $42 per night. Prices and availability subject to change. Additional terms may apply. Welcome to the capital of Pennsylvania! The capitol building is one of the most beautiful in the country, and it takes up a large portion of the skyline. Even former president Teddy Roosevelt once said: "It's the handsomest building I ever saw." From the many hotels near Harrisburg, PA, it's a short trip to tour the Rotunda (modeled after St. Peter's Basilica), catch a performance at the local Shakespeare festival, or take in the scenic vistas of Pennsylvania's natural beauty. 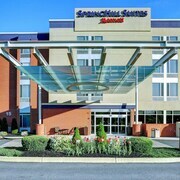 Hotels in Harrisburg, PA, await you on Travelocity! Harrisburg is alive with culture and vibrancy, and the riverfront is full of galleries and historical theaters. Walk along Front Street and enjoy works by local artists, or catch a performance at the Harrisburg Symphony Orchestra at The Forum. 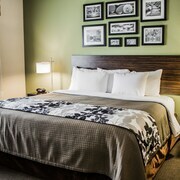 Stroll the historic streets from one of many Harrisburg hotels, and know that there are plenty of 3 star hotels in Harrisburg for you to choose from. Catch a Harrisburg Senators game at Metro Bank Park, which is situated in the middle of the Susquehanna River on City Island. Spend an afternoon touring the Susquehanna Art Museum, which features work from local, regional, and international artists, showcased in an ultra-modern building sandwiched between historic buildings in downtown Harrisburg. 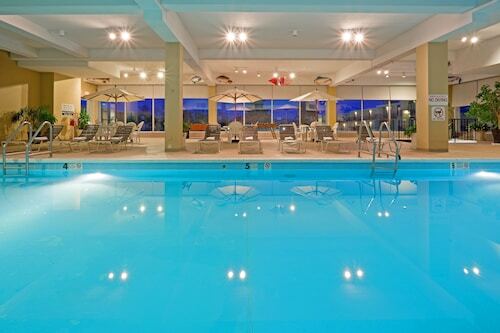 Hotels in Harrisburg place you in great proximity to spectacular dining and drink. Along the water, restaurants cook up Italian, American, and French cuisine, and on warm evenings, you can take in a meal and good views overlooking the water. Catch a sample of some of Harrisburg's award-winning beers or order a bottle of wine from many of the restaurants with curated lists to suit any taste! If you want big-city amenities and small-town service, Harrisburg is waiting for you to come and explore. 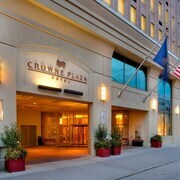 Find the right hotel for you and get mobile exclusive deals on the Travelocity app. 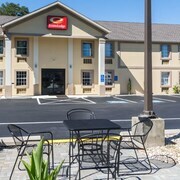 Clean and private - very nice breakfast buffet and seating in a comfortable environment. I truly enjoyed how clean and very nice the room was and the price was perfect!